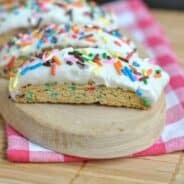 Birthday Cake Biscotti: such a fun treat! Biscotti is so easy to make, and it’s the perfect breakfast with a hot cup of coffee! Today is my birthday! Whoohoo! And of course today’s recipe is perfect for me. Right? Since I am such a biscotti fan I think it’s only fitting that I made a birthday version. I have to be honest though. 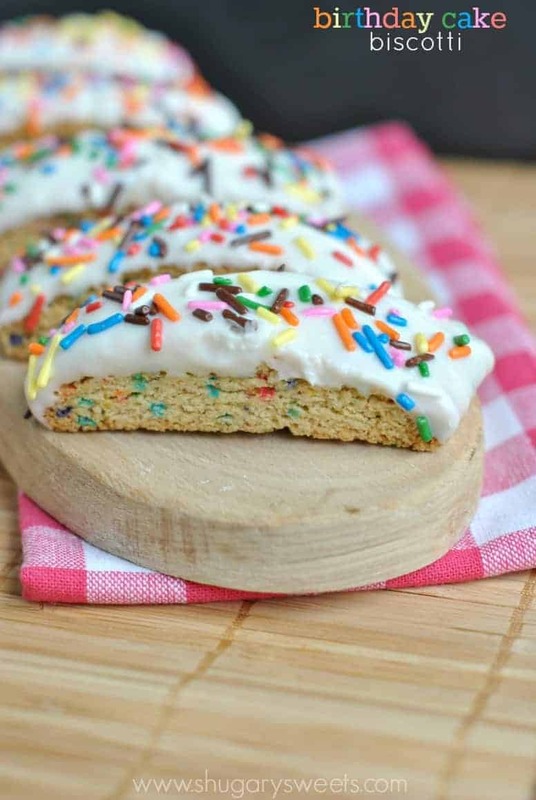 This birthday cake biscotti isn’t an original idea. This spring I went on a blogger trip to an egg farm, and at the market there was a cute little coffee shop. They were selling….Birthday Cake Biscotti. Of course I didn’t buy any, but I took a photo so that I would remember to make it! For months this idea has now been rolling around in my head. I was so excited to finally bake it, because I knew I wanted to share it on my birthday. But as a special bonus, I was able to share the biscotti in real life with one of my best friends! Her birthday is a little over a week before mine, so dropping off a little package of biscotti to her was so fun. Now that we have moved back “home” I love sharing the goodies from my kitchen with family and friends. Anyways…for today’s recipe I used my Snickerdoodle Biscotti recipe as the base (eliminating the cinnamon, of course). I also added butter flavoring (it’s sold in the baking aisle next to the vanilla extract). It adds a deeper, buttery flavor; much like yellow cake. And sprinkles, well, that was just a must! 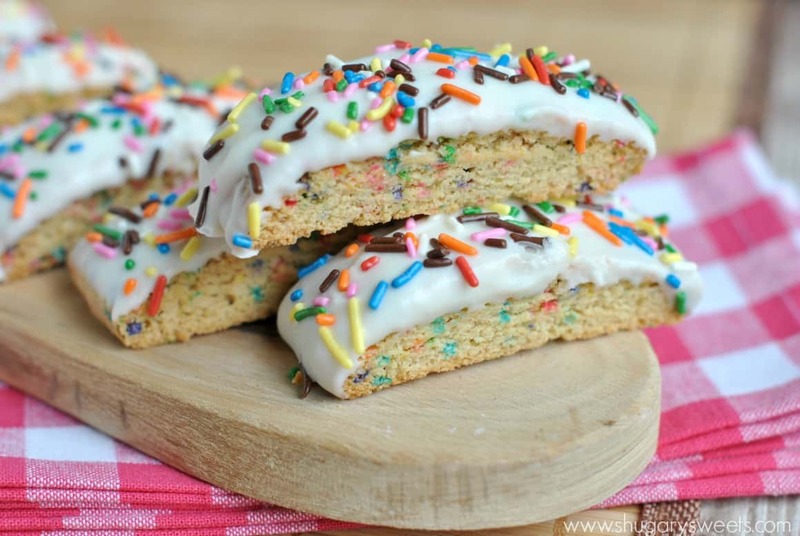 Now, go bake a delicious batch of Birthday Cake Biscotti for one of your friends or family members. I’m pretty sure it will bring a smile to their face! In a large mixing bowl, beat butter and sugar until creamy. Add egg and butter flavoring. Add flour and baking powder and beat until combined. Fold in 2 Tbsp sprinkles. Line a large baking sheet with parchment paper (or a silpat). Divide dough in half and shape into two 10inch x 2.5inch rectangles. Use flour on your fingertips to keep dough from sticking. Bake in a 350 degree oven for 25 minutes. Remove and cool 10 minutes. Using a serrated knife, cut each rectangle into 9-10 slices each. Turn each slice onto it's side. Bake an additional 10 minutes. Flip biscotti onto opposite sides. Bake another 8-10 minutes. Remove and cool completely. 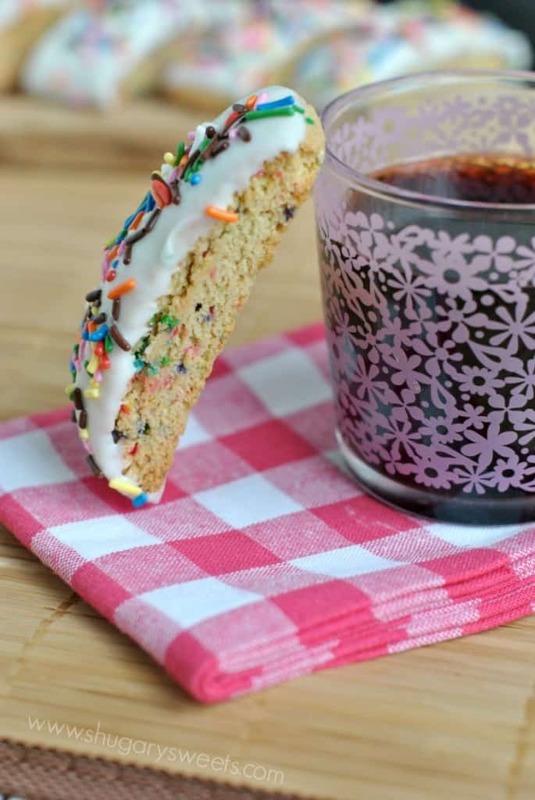 Once cooled, dip tops of biscotti into melted Vanilla Candiquik. Add sprinkles immediately. ENJOY. It’s my birthday, so how I about I share some of my favorite things…. 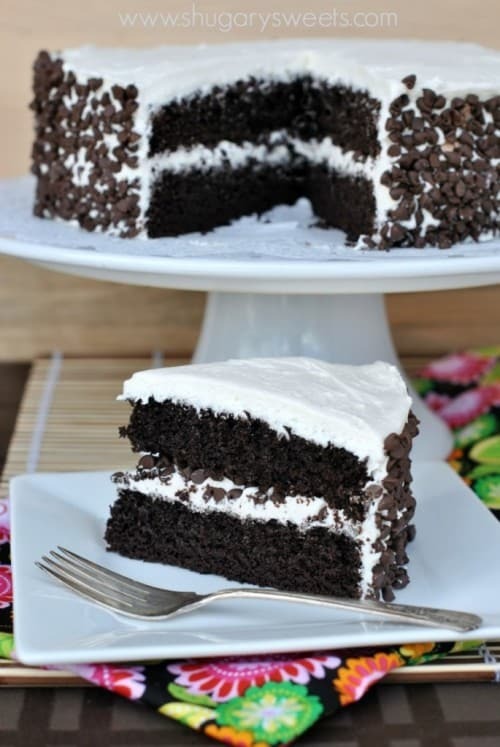 Dark Chocolate Cake: my ideal birthday cake. This one is absolutely incredible! 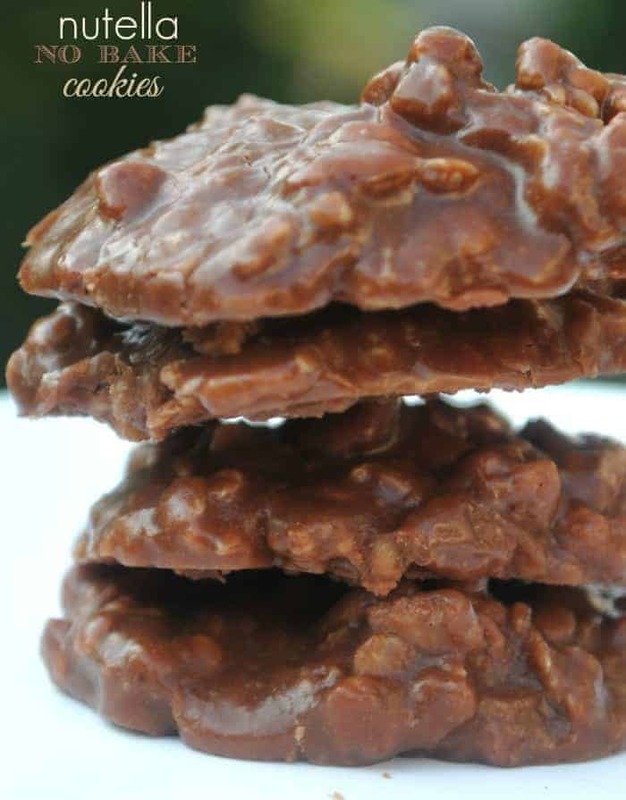 Nutella No Bake Cookies: these are little bites of heaven. 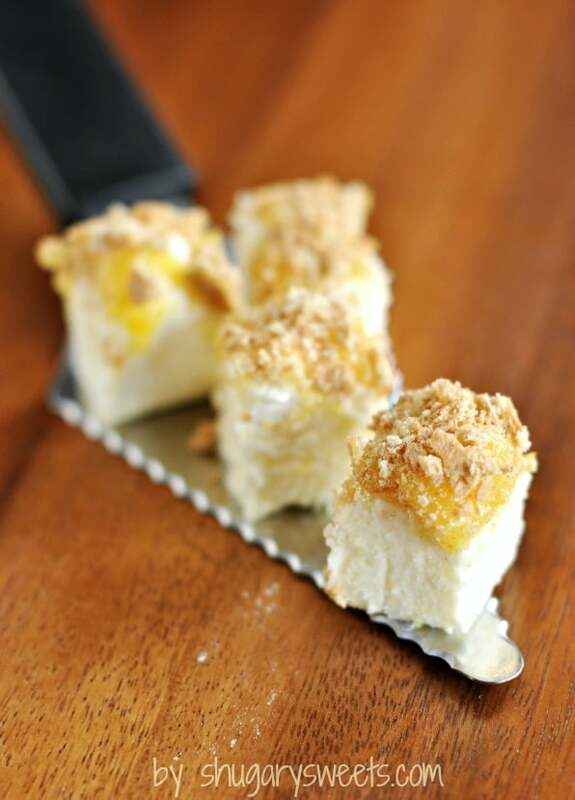 Lemon Meringue Fudge: this still ranks as my all time favorite fudge recipe! 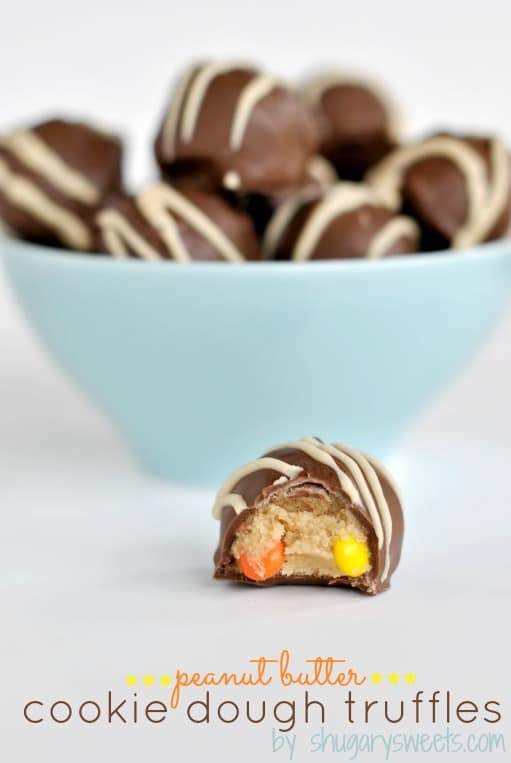 Peanut Butter Cookie Dough Truffles: eggless treats that are incredible.